The Harry Potter movie series might have ended, but it has left behind a beautiful trail in London for its diehard fans to follow who just can’t seem to get enough of it. 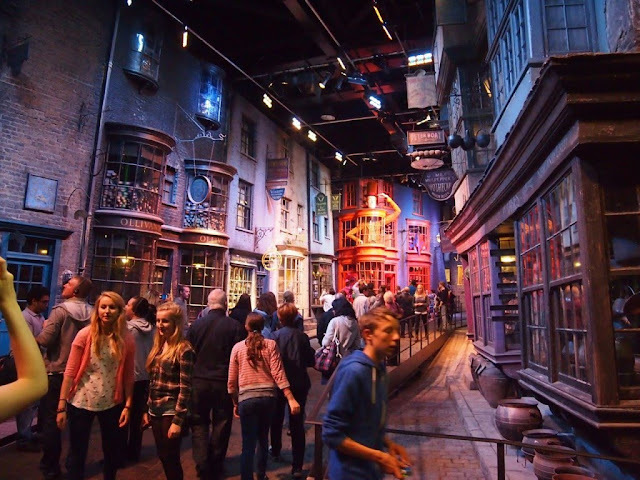 London is the birthplace ofthis incredible movie franchise and so it goes without saying that while here, getting on a Harry Potter tour is a no-brainer activity you must partake in irrespective of whether you’re a fan or not. Although, it does get all the more sensational if you have a thing for this fictional magical world. The city orchestrates multiple tours most of which are free or charge a nominal fee. So, you might want to register online to join one.Tour organizers often have a common starting point where all the participants are supposed to meet before the tour can begin. Do check the timing and be sure to reach there on time so you don’t miss out on anything. Do you love museums? Do you appreciate how everything about them takes you back into the history and makes you feel connected with it?Well, that’s exactly what a harry potter tour will do to you. You can think of it like a nostalgic walk through a beautiful museum. From the Dragon Alley, to the Leaky Cauldron, knock turn Alley, the Ministry of Magic, and many other places where the movie was shot; you will be exploring everything. It is one thing to see your favorite characters hustling it from one place to another on the screen, but it’s quite another when you’re in those places for real. Just being there will take you into the Harry Potter’s past. As the tour goes from one place to another, it will be like turning over one chapter after another. You will come face-to-face with places where your favorite characters walked. The train station where Harry Potter boarded the Hogwarts Express to the phone booth used to travel from one dimension to another; everything will feel surreal. It will feel like the magical world has actually come to life and is no longer just a fictional place. Filmmaking is a painstakingly lengthy and tiresome procedure; especially when you talk about a movie like Harry Potter, the stakes are even higher. And,nothing will testify that better than seeing the tiny little details that go unnoticed on the big screen. Everything from tiny props to magnificent sets; there’s so much detail that goes into perfecting each and every scene. On a harry potter tour, you will be able to see fine stitches of the characters’ embroidered costumes and the etchings on the Goblet of Fire. Be sure to take a closer look and observe every single detail to truly appreciate the hard work and efforts put by the filmmakers that made this masterpiece possible. So, give the RV air conditioners of your car a rest; and set out with one of the free tours in London to explore the magical world of Harry Potter.